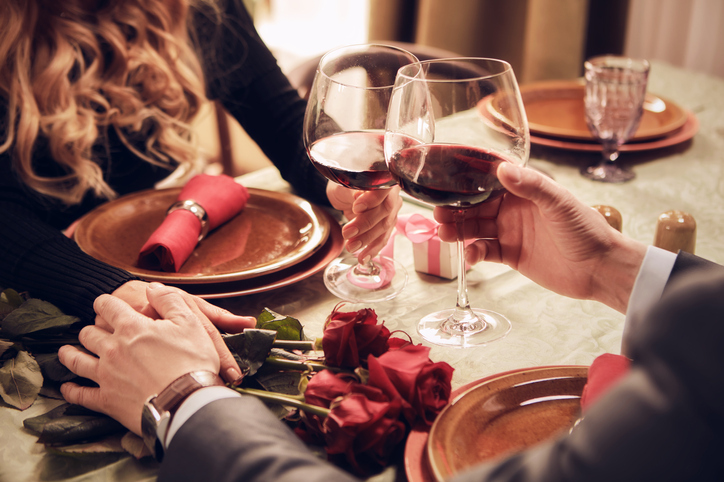 A romantic candlelit dinner is a cornerstone for most couples on Valentine’s Day, but it’s a tradition that, perhaps, has grown a bit stale. Love is in the air, but blood is on someone’s hands! Shake things up with a murder mystery dining experience at Maggiano’s Little Italy at The Grove. You’ll enjoy made-from-scratch Italian fare in a romantic ambiance while working with your sweetie to ferret out a murder during this whodunit. But watch your back...even your own partner could be a killer in disguise! To take part in this interactive dinner experience, claim your tickets here. The event starts at 7:30 p.m. on February 14th and lasts until 10:30 p.m.
Before you head out on your sleuthing adventure, be sure to stop by our onsite Bar 20 for some happy hour cocktails. Happy hour runs daily from 4 p.m. to 6 p.m.